The interior has 2 17 inch monitors to watch what ever videos you want. 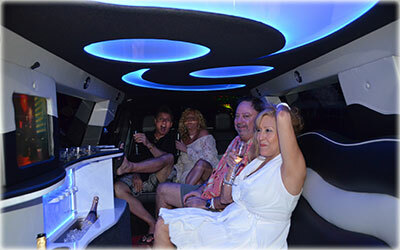 The best state of the art Alpine sound system lets you party to your favorite music. The lighted Disco floor will make it seem like a moving dance hall. Mood lighting in the celling will change to what ever mood for you and your party. 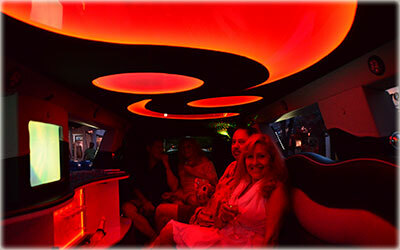 The interior of our limo is state of art.